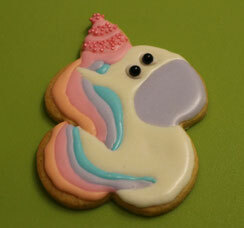 I thought a long time about creating a unique unicorn cookie because let's face it: Everybody loves unicorns! 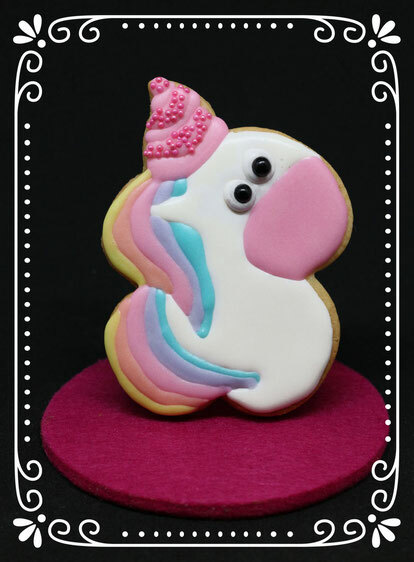 I looked at a lot of cookie cutters but couldn't find one which I liked so I had to recreate another cookie shape into a unicorn. 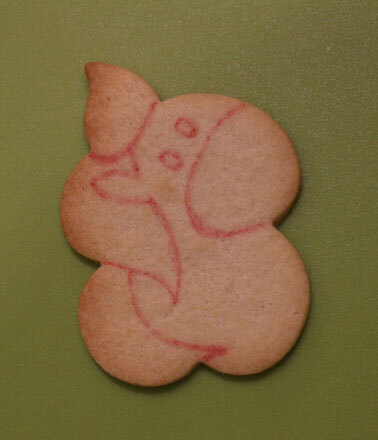 After looking again at many different cookie cutters I spotted a speech bubble cutter and guess what reminded me of a unicorn? 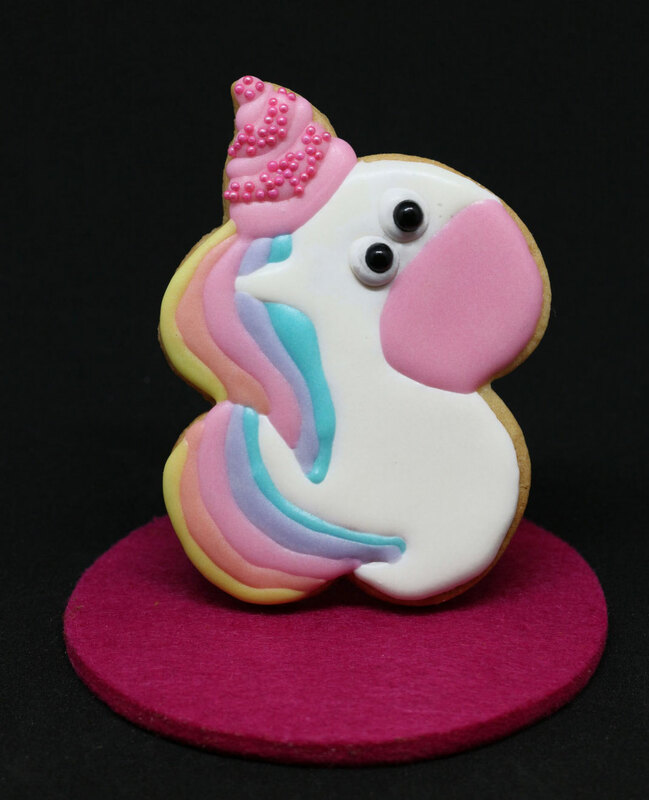 First step for sure is to bake the cookies (you can use this vanilla cookie recipe) and then you need to draw the shape of the unicorn onto them. Now you can start the royal icing. Prepare most of the icing in white and some of it in 5 different colors. 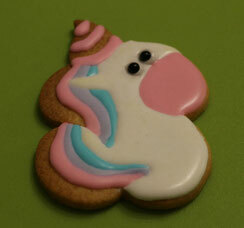 I decided pastel colors fit the best for a unicorn. 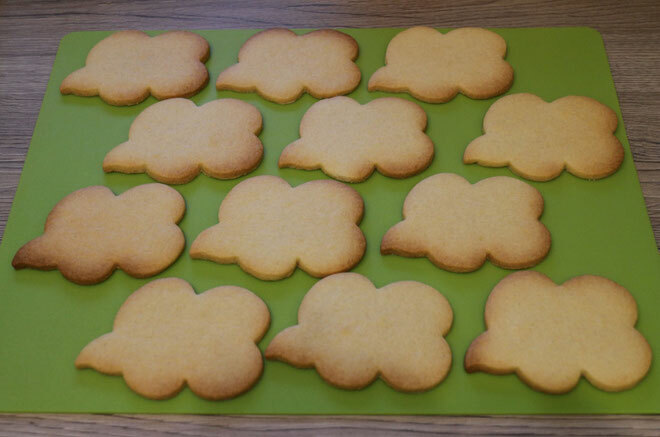 Start with icing the body in white color and let it dry completely (best you put the cookie after every icing step into a backing oven on convection setting without any heat, this gives the nicest shine on the icing). After the white icing dried you can fill the eyes again with white icing and put a black sugar pearl for the pupil in the middle. 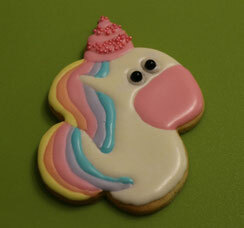 Now you start with the unicorn hair and tale. Use for the different strands different colors and let them dry always completely before you apply the next color. You love the unicorns? 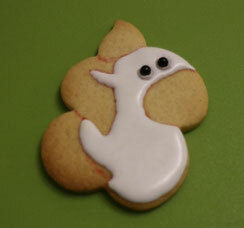 Check out the lizard cookies!! !